When I first started my speaking business, I relied heavily on one-on-one coaching clients to supplement my speaking revenue (which was understandably not much in the beginning of my speaking career, before anyone really knew who I was). I am an ICF accredited coach and, while it’s not my passion, at that time it proved a great way to pay the bills while I built my speaking career. I consistently worked with anywhere from fifteen to twenty clients each week. Then something strange happened. In one month, half of my clients quit. It wasn’t that they were dissatisfied, it just worked out that they were ready to move on without coaching, that our work together was done, or that they couldn’t afford to continue. Suddenly, I found myself wondering what the heck was going on and worse, how on earth I was going to pay my bills. My coaching business was literally “drying up” right before my eyes, and I had no idea why. I was sharing my fear with a friend one day when she said something I’ll never forget. “Looks like God is opening up space in your life for something really big. Change is coming, so get ready.” I had no idea what that “something big” might be, but it made me look at that particular challenging situation differently. I was able to see that, while right now felt really challenging, there was surely a light at the end of the tunnel. Sure enough, within a few weeks, my phone started ringing off the hook with inquiries about my speaking services. Seems a leader with whom I was working had gone to her company’s executive summit, stood up in a room full of other executives, and raved about what a great live training I’d just done for her group. Now all of a sudden I was in demand. If I’d still had a full slate of coaching clients, it would have been impossible for me to meet the new demands on my time. The quote at the top of this post may sound a little “pollyanna-ish,” but give me a second to elaborate. It’s the times in my life when I’m feeling the most overwhelmed that often end up being the ones I look back on with the most gratitude. Without fail, when things seem challenging or I’m facing change (which is never easy and which we as human beings tend to avoid whenever possible because it’s uncomfortable), it means something bigger and better is coming to me. Throughout the horrific months of watching my husband succumb to Melanoma and certainly after my he died, I did my best to remember that I might be going through Hell but I just needed to keep going. That eventually, things would start to feel better. It’s been 18 months now and things are indeed better. I’ll never fully recover from the experience of losing him or be “ok” living without him, but I’m choosing to focus on my life NOW and to be happy where I am. Nature uses a birth canal to bring forth new life in mammals. If you’ve ever seen a brand new baby, you know often times they are so squeezed that their heads are misshapen. Butterflies must emerge from their cocoons by squeezing with all their might out of a small opening and into the air. They emerge completely exhausted, but the process of being squeezed literally wicks the moisture away from their fragile new wings and allows them to fly. If you help a butterfly by tearing the cocoon open, it will die. It must experience the stress of the change in order to evolve to the next level. If you’re feeling squeezed right now, it is because something is seeking to be born in you. Growth and change is never easy, but is always fruitful and worth the work. And what I know for sure is that just knowing this, understanding that challenge never happens in a vacuum and that something better is on it’s way, changes the way you look at challenge in your life. The next time you’re frustrated by challenging circumstances you’re experiencing or you’re wondering why things are so difficult, stop and imagine exactly why you’re life is being altered. What are you making room for or moving toward? Sometimes that can turn a challenge into an adventure. It might not make it any easier, but it definitely changes your mindset as you navigate each challenge on your way to your new (even if it is undetermined) destination. 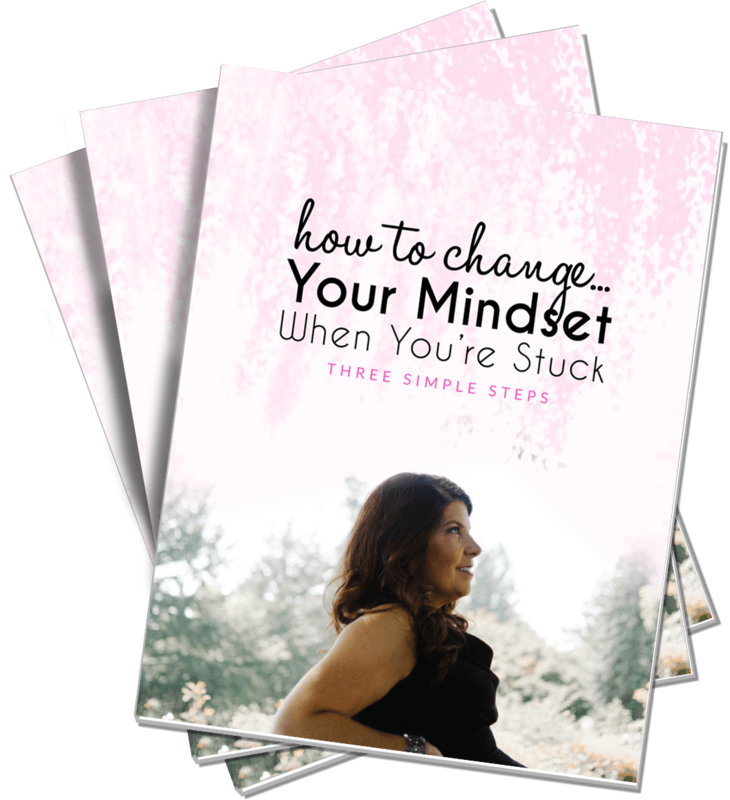 Ready to get “unstuck” and start making some real progress in your business? Your mindset determines your results but even if you know that, how do you change it when you know it’s sabotaging you? Julie Anne Jones is a sought after keynote speaker, online trainer, and corporate business consultant. She’s an accredited life and business coach with over fifteen years of experience speaking on stages across the United States and Canada. Known as “the systems specialist,” Julie Anne can break down any concept into simple, step-by-step, action-oriented training. She is known for her authentic and easy-to-use scripting and specializes in specific language and communication tools for business success. To learn more about Julie Anne and her products and services, and to read more blog posts, visit her at www.julieannejones.com.